Aiming to take the PC enthusiast market by storm, AMD’s most recent launches of not one, but two different products geared directly towards two audiences has resulted in an interesting shift in consumer buying habits, as well as fanboy affairs. With Ryzen 3, 5 and 7 series of processors each closing the gap on affordability and performance for what rival Intel has to offer – AMD certainly looks to be in a good spot for both production users and gamers. Residing at the top of the throne sits the Ryzen Threadripper series of processors – taking an all powerful, no compromises approach to top-tier performance – priced competitively while being faster than the competition. Doing away with the dual-core design of entry-level processors, all the while making their six-core/twelve threaded models reasonably priced as a worthwhile alternative, AMD has clearly caused a disruption in the landscape. While it’s been confirmed for debut on the 21st of August that Intel will be shedding some light on it’s 8th generation of processors – based on the Coffee Lake architecture, performance specifications remain fairly slim at this point in time – leveraging AMD some headroom and fan favour. As far as public perception goes within the eyes of gamers, AMD has finally provided a worthwhile product that’s actually given them a valid reason to throw out their decrepit Core i5-2500K. Closing the gap on the CPU market appears to be just phase one of AMD’s master plan, as the market for standalone high-end graphics cards is next on the agenda. Most recently detailed by the way of online media outlets providing a series of in-depth reviews and benchmarks, AMD’s Vega 56 and 64 series of graphics cards have finally landed. With Vega 64 already available to buy and Vega 56 arriving on the 28th of August, performance for both GPUs appear to fall in-line with Nvidia’s GeForce GTX 1070 and 1080 graphics cards. Where Vega 64 differs from the Vega 56 comes by the way of Shader Core count – increasing from 3584 to 4096, along with a liquid cooled variant of Vega 64 also being available. Whether or not the disturbance of Bitcoin miners will cause an increase in price for AMD Vega remains to be seen, but should this work out in AMD’s favor for gamer purchases they’ll certainly be back in the ring after many years of being seen as the underdog. This begs the question – primarily for gamers; Is it time to abandon Intel and let-loose Nvidia? “Fanboy-ism ” aside, as the governing factors between commonsense and affordability are often outweighed by cult-like beliefs of CPU devotion, but within the space of just a few months – albeit a 6 year wait beforehand – AMD has provided a range of high-performance CPUs and GPUs which at this current time are both cheaper and perform either identically or superior to the competition. Not only that, but the implementation of future-ready technologies such as DirectX12, HBM, HBC (High Bandwidth Cache) and multi-core processing manufacturing as standard, means AMD is able to deliver something that its competition is lacking – in all fronts. Making my thoughts quite clear towards AMD products (primarily graphics cards) in a great number of previous articles is something I hold no apologies nor excuses towards. I strongly believe that as far as the manufacturing process and chip design goes, AMD is still very much behind when it comes to the architectural refinements and improvements being made in comparison to its competition. While I only speak for the gaming side of things in regards to performance, design-based software and video editing applications do well to demonstrate the improvements throughout the entire line-up of AMD’s latest products. Gaming performance on the other-hand, throwing more cores at the situation while making minimal improvements to the efficiency of the chip seems to be a common trend across both the CPU and GPU products. 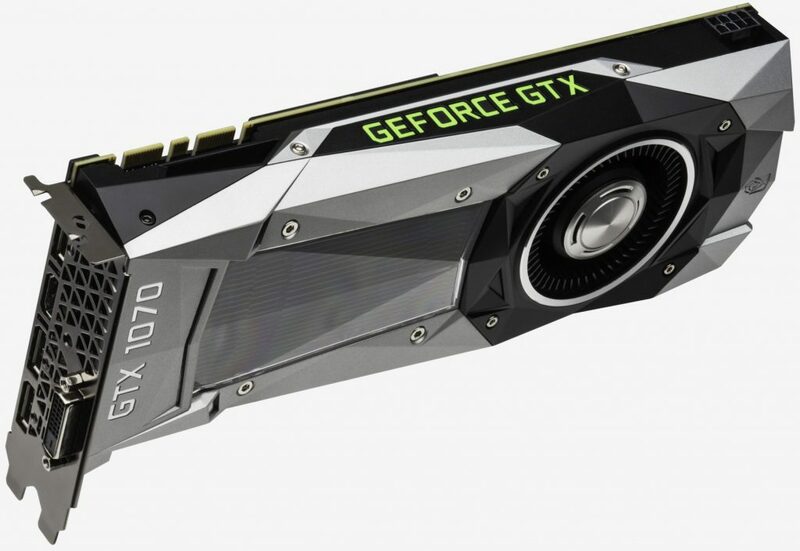 For the sake of comparison, over the past five or so years since the release of the GeForce GTX 700 series graphics cards, Nvidia’s improvements and architectural refinements have come a great deal further than to those of AMD. Where Nvidia GPUs either see a reduction or remain consistent within the number of Shader Cores throughout each class of graphics card, clock speeds take on a massive increase, power-efficiency greatly improves, temperatures consistently fall and all this is achieved while moving to a smaller fabrication technology – taking AMD far longer to achieve the same goals, the majority of which is still yet to be reached. AMD Vega may indeed offer the same level of performance as Nvidia’s top-tier cards but the higher power requirements, heat dissipation, and let’s not forget the monstrous increase in raw specifications that’s almost twice to that of Nvidia’s now one-year old cards doesn’t seem so exciting once you break things down. Should AMD’s Vega graphics cards remain stable in pricing – without the intrusion of Bitcoin miners wreaking havoc for gamers – only then will its graphics cards appear to be worthwhile. Vega may indeed offer a range of technologies not viable on competing platforms, but as to whether or not and how well it’s implemented will be dependent upon the game developers. Otherwise, what we have until the arrival of Nvidia’s next tier of cards is just another range of GeForce GTX 1070 level products, which by the nature of this industry will fall to a mid-range performance level for whatever is released in 2018. Is it time for all AMD? I’d say so. It’s cheaper and offers identical performance to its competitors. Despite personal conflicts which I’ve briefly mentioned, common sense says yes.